Last week we conducted mobile internet speed tests in four different locations across Harare. To say the least, the results were shocking. Like any test, we expected to have a standout performer. To our surprise, each Mobile Network (Econet, NetOne, and Telecel) produced inconsistent results, further raising our suspicion on the true state of mobile internet in Zimbabwe. We also received a fair bit of feedback from our TechZim community and the public. We have been flooded with suggestions, criticisms, solutions and praise. So, in light of this, we have decided to take it upon ourselves to continue conducting speed tests around Harare. It is our hope that the information we gather is taken notice of and used to improve mobile internet speeds in disadvantaged areas. So far, we have identified Kuwadzana 4 and Warren Park 1 to have poor mobile internet speeds. We also need your help, especially those out of Harare, to share your internet speed experiences with us using Speedtest. You can find it for free on Android and iOS. We will be dedicating a page to this! In the meantime, we felt it was necessary to re-introduce the topic of mobile internet. So when you see a symbol on your phone, now you know what standard you are on. I think you are misleading your readers. >So far, we have identified Kuwadzana 4 and Warren Park 1 to have poor mobile internet >speeds. 2. Distance from serving base station. CQI (Call Quality Indicator) is greatly affected by distance and therefore your modulation suffers too the further you are from the eNodeB. 3. Modulation [QPSK, 16QAM, 64QAM]. Where you on the same modulation at the same time for all three operators? 4. Number of Connected users. Econet, i assume, has more users per base station than any other competitor and should be weaker because Bandwidth is being shared by everyone. HSPA+ Releases 8 – 10 are not really possible with the Zimbabwean setup. 2. MIMO. RNCs always favour transmit diversity on the 2×2 antennas rather than MIMO. Radio conditions are too poor. very few base stations to satisfy that requirement. 3. Modulation. Very difficult to achieve and maintain 64QAM with such sparsely populated base stations. On 4G or LTE it is really not cast in stone that you should expect 100Mbps Download. Refer to image linked above. 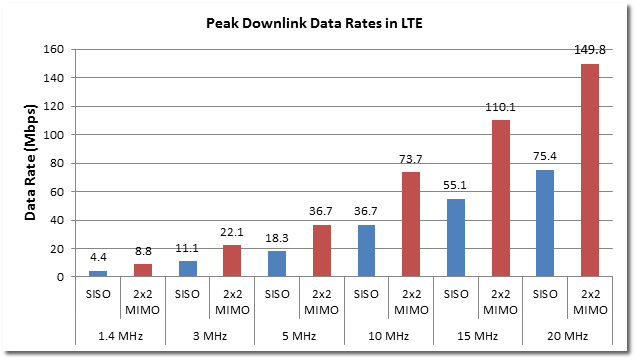 Currently operators in Zimbabwe are on 10MHz LTE, with the bulk of the traffic on Single in single out (SISO). if close to a site, and no interference from other users, then you can be upgraded to MIMO. So there is no chance of achieving 100Mbps at this point. 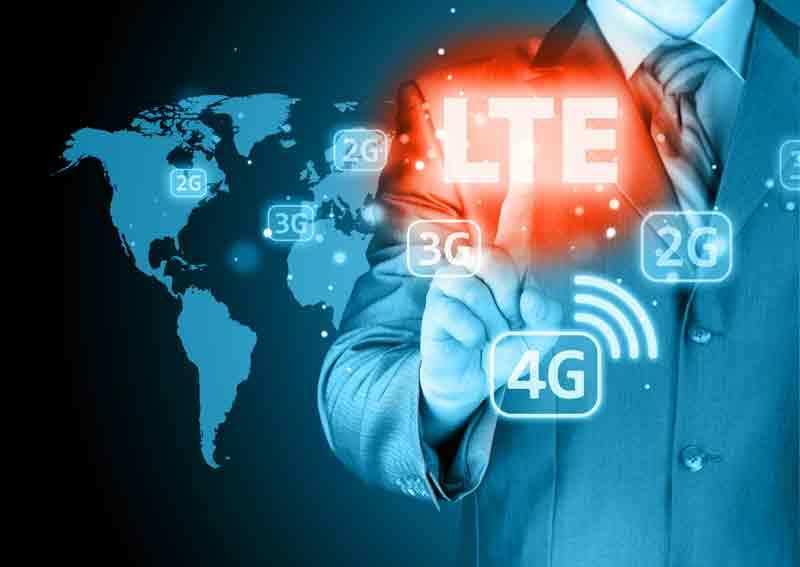 guys, surely if the backhauls are slow, LTE/3G etc wont be any good regardless? I just want to go back to the testing method used as l feel it was misleading. Why did you use this server specifically? When you say server, what really do mean? What where you testing. Was it wire speed you were testing using tools like iperf? These give you the exact capability of network port, the data download and then you can workout what is configured for your speed access. If your testing was just browsing from their website, do you know if the website is hosted in Zimbabwe or outide Zimbabwe? Such test will not be fair to Econet if the server is hosted in Zimbabwe as Telone and Econet are not inteconnected at Zinx, (Charamba might have an opionion on this) The nearest point they interconnect is Linx in UK, that means any traffic from Econet to Telone will have to travel from Zim to London and routed to back to Zim again! Was there any consideration as to traffic conjestion made before the test. If tested in the morning, people might be busy or not busy at all, that applies to all day. What day of the week was it? What preparation was done to choose the base stations. Did you find out before hand if all the base stations you were going to use were going to support your test? You cannot just turn up at a point and start testing, maybe that day LTE base was under maintenance or LTE throttled up or down. How was the weather like during testing? Did you have people in different locations testing at the same time? If not then you cannot conclude on that because weather conditions do affect wireless signals. Maybe in Warren Park and Kuwadzana there was dust winds, which heavily affects signals whereas in town it was clear skies. You might consider using a service like Netradar (https://www.netradar.org/) developed at Aalto University in Finland. It tracks not only upload / download but also latency. You can also look at changes over time. There are versions of its monitoring app for most platforms.